This craftsman style home has a perfect blend of design features to give it a quaint façade. 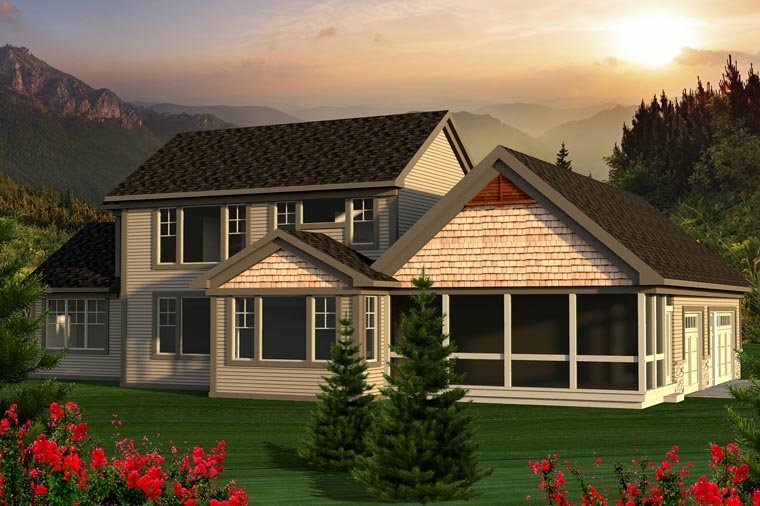 Stone, shingle siding and extra wooden louvers are just some of the details that you’ll enjoy on this design. Inside, natural light streaming through the two-story wall of windows in the great room will capture your attention immediately and draw in you. The main living area features an open concept plan design where the kitchen, dining room and great room all blend together seamlessly to create a space large enough for the entire family. 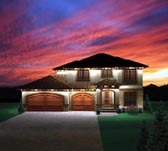 The master suite lies to the right of the entry and includes a spacious walk-in closet and private bath. A second bedroom is located to the left of the entry with access to the half bath just outside. 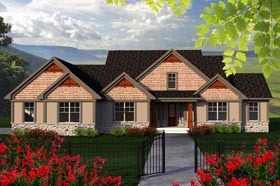 A third bedroom is located on the second story where you’ll enjoy a view of the great room below. A three-stall side-load garage completes this home.